Castles in the Sky: Miyazaki, Takahata and the Masters of Studio Ghibli features 15 films from Ghibli, the studio created by animation master Hayao Miyazaki, on 35mm film playing over two weeks. Hayao Miyazaki is a household name in Japan, thanks to such films as Princess Mononoke, Spirited Away and Ponyo. Stateside, however, he’s too often been described as Japan’s Walt Disney, a comparison that captures the director’s dedication to animated films of wonder and imagination (which extends to all the films from his Studio Ghibli), but misses his distinctive sensibility. Miyazaki is an original with an epic vision, an animist mythology, an environmentally-conscious subtext and a dedication to the art of hand-drawn animation that he maintains even in the face of the digital revolution. I profiled the series for Seattle Weekly: “Miyazaki believes that children deserve stories with depth and emotional complexity, as well as imagination and excitement—and that’s what he delivers.” And at Parallax View I offer ten highlights in a line-up that is uniformly good and in many cases great. Visit the SIFF Cinema website for the complete schedule. Grassroots, the shot-in-Seattle political satire that was featured as the closing night film at SIFF 2012, opens for a theatrical run at the Harvard Exit and director Stephen Gyllenhaal has committed to appear at all screenings through the weekend of Friday, June 22 to Sunday, June 24. “Gyllenhaal makes the monorail’s lost cause such plucky fun that you’re glad to buy the ticket,” writes Brian Miller for Seattle Weekly. And John Hartl praises it as “an honorable attempt to make the workings of City Hall and small-scale democracy into an intelligent entertainment that happens to be set in 2001 — just a few weeks before the 9/11 attacks” for The Seattle Times. Hartl also interviews Gyllenhaal for The Seattle Times. 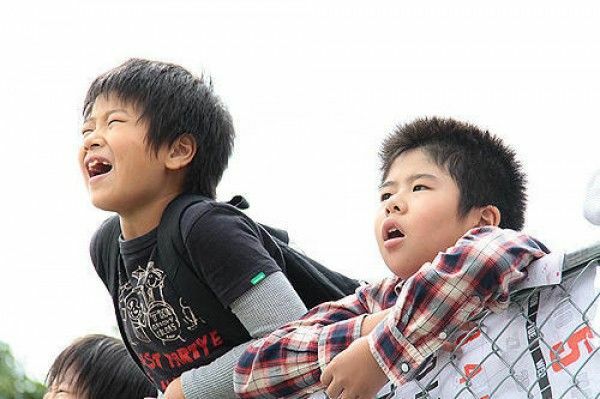 Hirokazu Kore-eda’s I Wish is a gentle tale of brothers separated by divorce who decide to meet in the (perhaps magical) spot where the newly-built bullet trains will pass. “It’s an exuberant yet tender journey, never descending into saccharine cuteness or manufactured melodrama,” writes Kathleen Murphy for MSN Movies. “Kore-eda’s slowly unfolding children’s tale vibrates with small, incremental revelations. The rhythm of the film is like breathing, the respirations of family life, old age, childhood — even of the Earth.” Plays at The Varsity. Also new this week: Here, a romantic drama with Ben Foster (at the Uptown), the psychedelic sci-fi feature Beyond the Black Rainbow (a week at Grand Illusion), and the documentaries Lost Bohemia (a week at Northwest Film Forum) and Music From the Big House (through Tuesday at NWFF), and the SIFF 2012 feature True Wolf (reviewed by John Hartl for The Seattle Times). Peter Greenaway’s Nightwatching and Rembrandt’s J’Accuse are two takes on Rembrandt’s masterpiece. The director turned art history into a stylized murder mystery starring Rembrandt (Martin Freeman) as detective and his epic portrait “The Nightwatch” as exhibit A in his indictment. This is no genteel piece of historical drama but a highly theatrical production shot and staged to evoke Rembrandt’s own paintings and presenting Freeman’s Rembrandt as a worldly, passionate and decidedly sexual being. The companion film Rembrandt’s J’Accuse is neither a making of nor a tradition documentary but dense and lively essay film that analyzes the mysteries and controversies of the painting. At SIFF Film Center from June 22 to 24 on 35mm prints. Queen of the Sun, a look at the environmental crisis at risk with Colony Collapse Disorder, plays free at SIFF Film Center on Wednesday June 27 as part of the “Next 50 Film Series” as part of the World’s Fair anniversary. Details at SIFF Cinema. Late nights: Super Mario Bros., the 1993 live action film of the arcade video game with Bob Hoskins and John Leguizamo as the plumber brothers and Dennis Hopper as the lizard king villain, plays Friday and Saturday midnights at The Egyptian. Master of the Flying Guillotine, the 1976 Hong Kong martial arts classic, plays Friday and Saturday at 11pm at Grand Illusion. For more alternative screenings, read Moira Macdonald’s roundup at The Seattle Times. You can check your favorite independent cinemas, neighborhood theaters and multiplexes here.